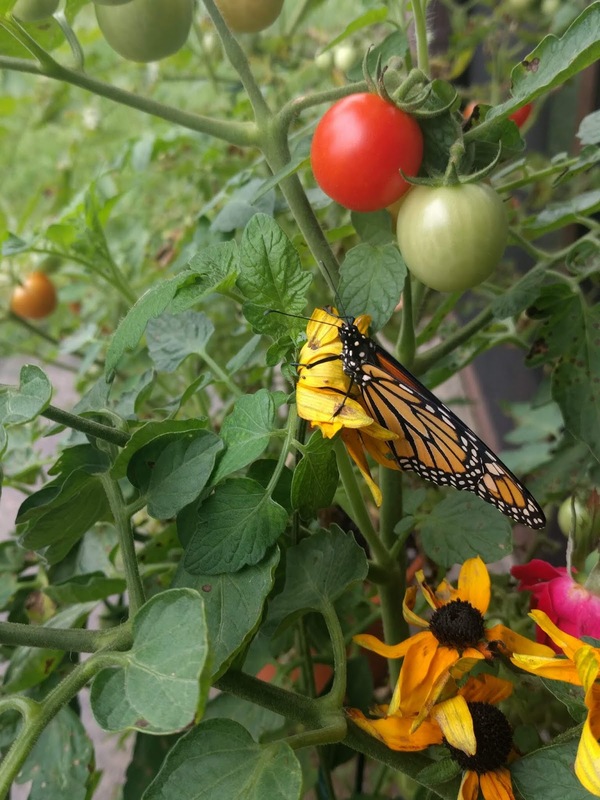 What an experience we had this summer with our butterflies! 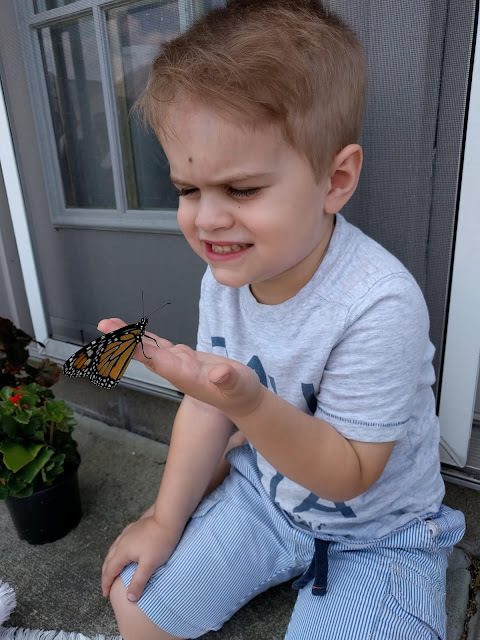 Back in July, when I first went out looking for caterpillars, I would have been happy just to find ONE that the boys and I could raise together. 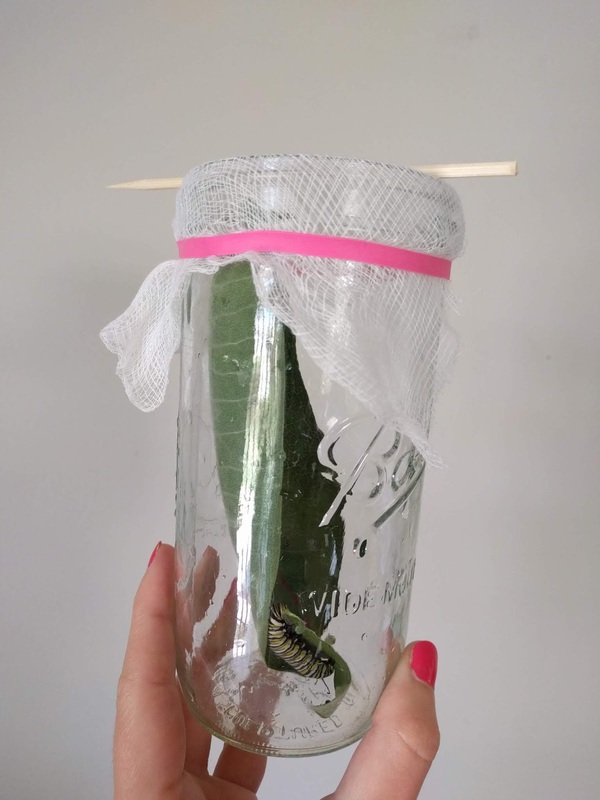 My friend Sue had given us a Monarch caterpillar back in 2015, and it was such a miracle to watch. I knew I wanted to do it again. 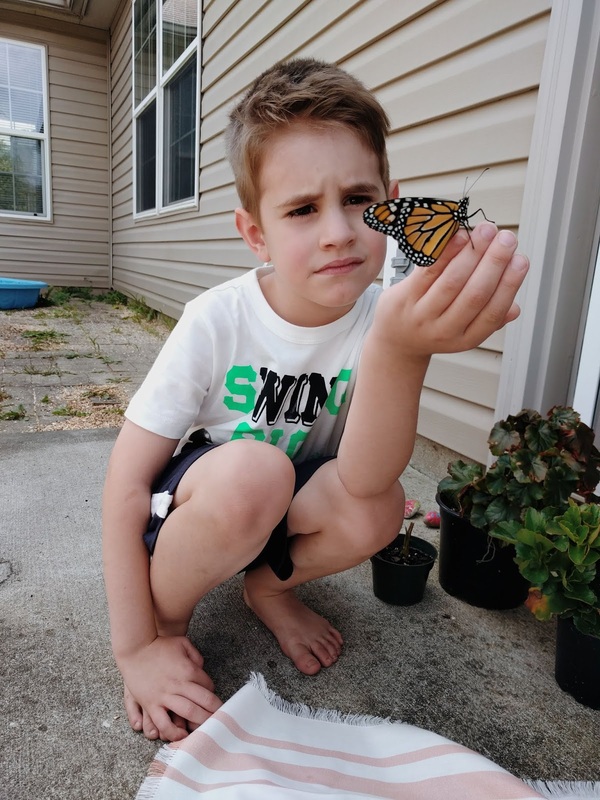 Our local children's librarian raised somewhere around 600 Monarch butterflies last summer, so I knew they were in our area. 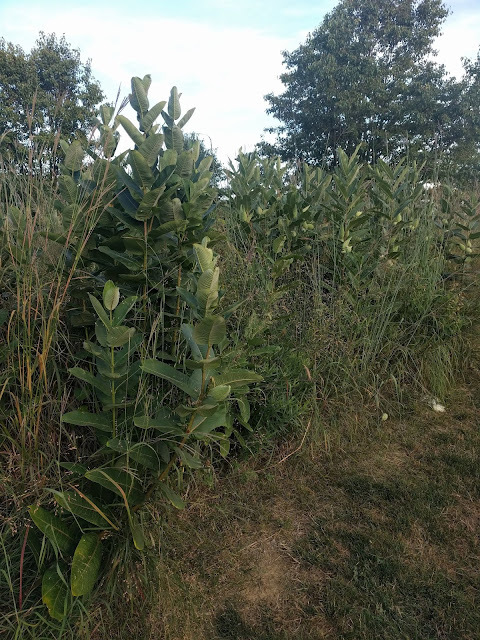 I also had noticed that our favorite park has plenty of milkweed, so I began my search there. This is what common milkweed looks like. Once you're familiar with it, you can spot in anywhere. 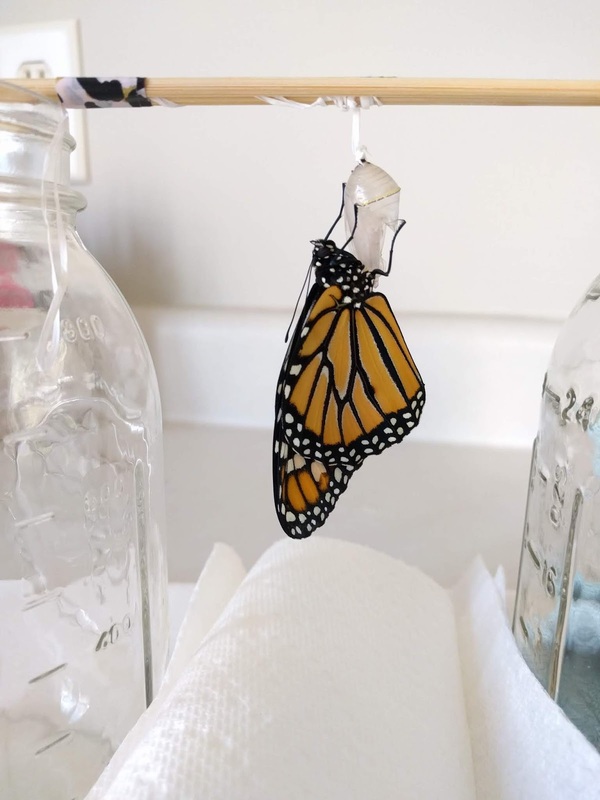 I'm sure you've read that the Monarch population is dwindling. 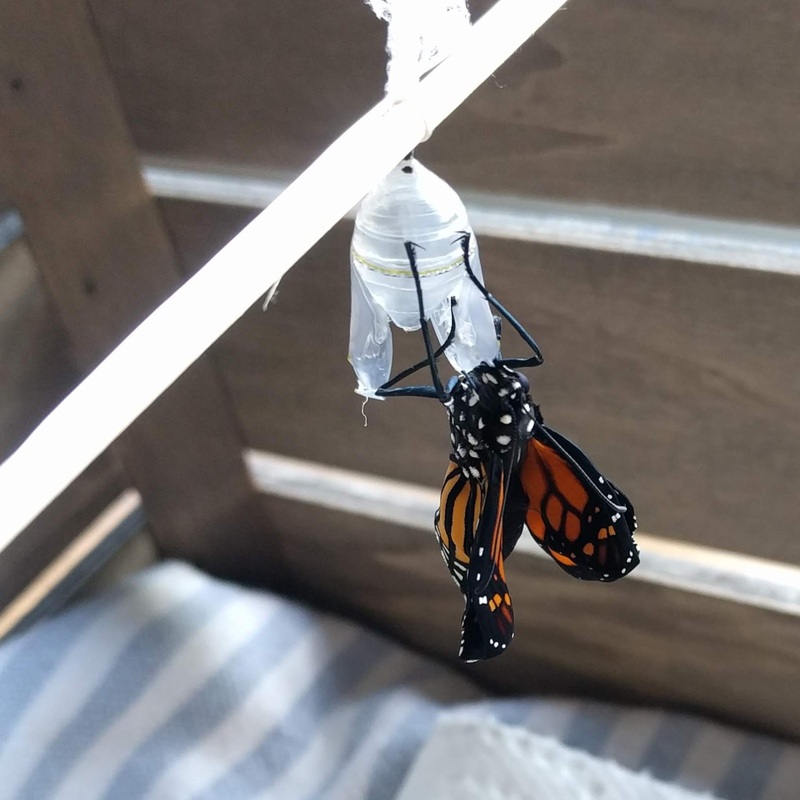 I've heard the statistic that only around 10% of Monarchs survive from egg to butterfly. In addition to this, milkweed is often mowed down or sprayed with weed killer. Milkweed is the only plant that Monarch butterflies lay their eggs on, and the only plant that Monarch caterpillars can eat. When people raise Monarchs inside their homes, the Monarchs have a greater chance of survival. But more importantly, planting or preserving the milkweed in your area can allow the Monarch population to start to grow again. 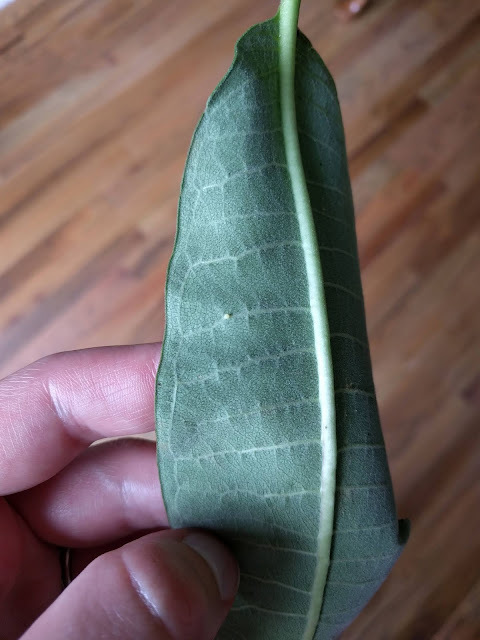 When you snap off a leaf, or break a leaf in half, you'll know it's milkweed by the white sap that instantly oozes out. 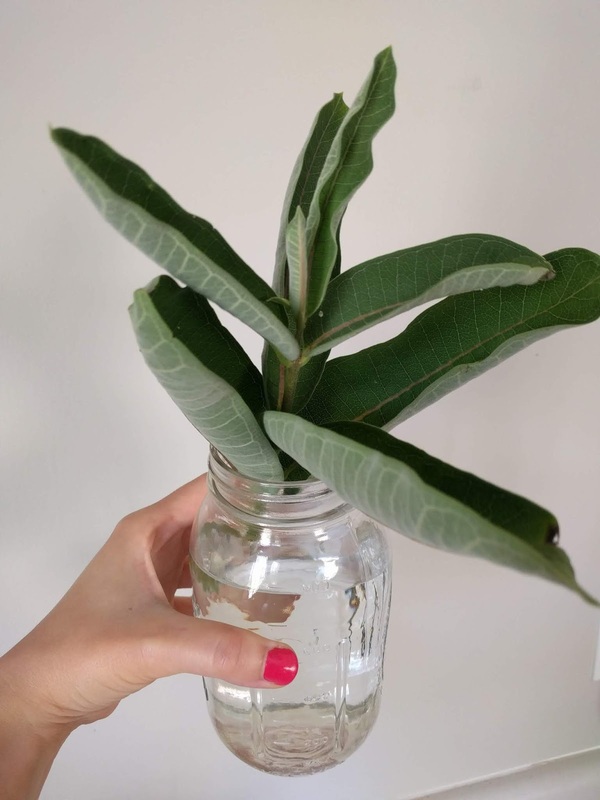 Monarch caterpillars like fresh milkweed every day, so I put leaves in a jar of water to keep the them from drying out quickly. 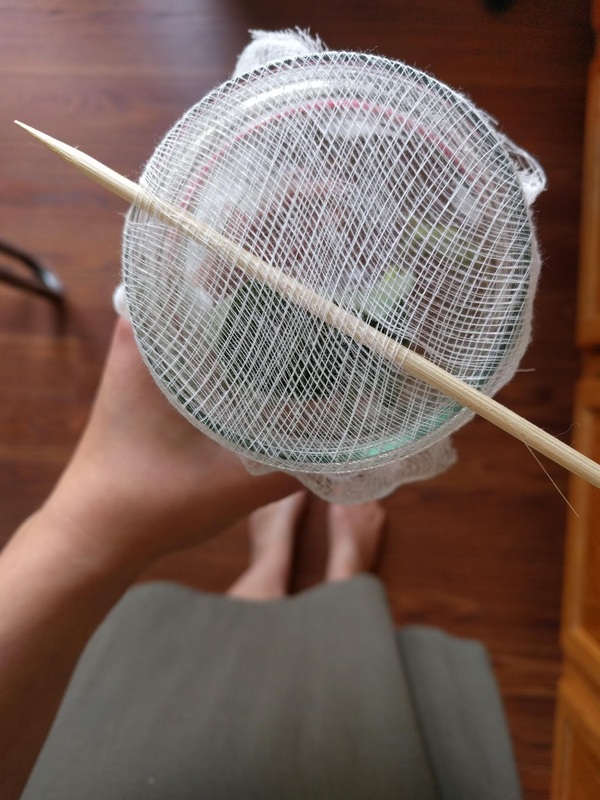 This summer, I tried to grow milkweed from seeds and I also tried to transplant already-growing milkweed, but I was unsuccessful. 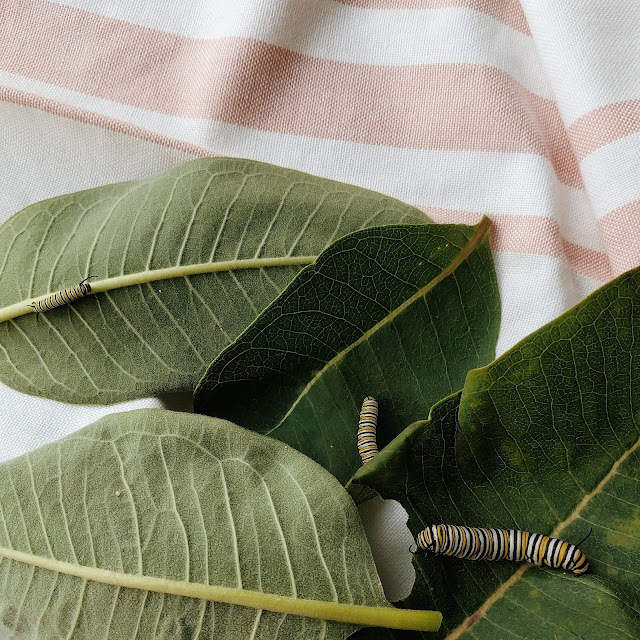 My goal is to get some growing in my yard for next year so that I don't have to drive to other places to bring milkweed home to my caterpillars. The first time I found a caterpillar - I was overjoyed! When searching for caterpillars on the milkweed at the park, it would typically take me about a half hour of careful scanning to find one or two. One day, I was lucky and found three caterpillars and four eggs! Once I figured out what Monarch eggs look like, it became almost easier to find eggs than to find caterpillars. The eggs are tiny (as shown here), ivory-colored, and they come to a point at the bottom. They also have perfect little ridges if you look super closely. The larva hatches within 3-6 days of the egg being laid. 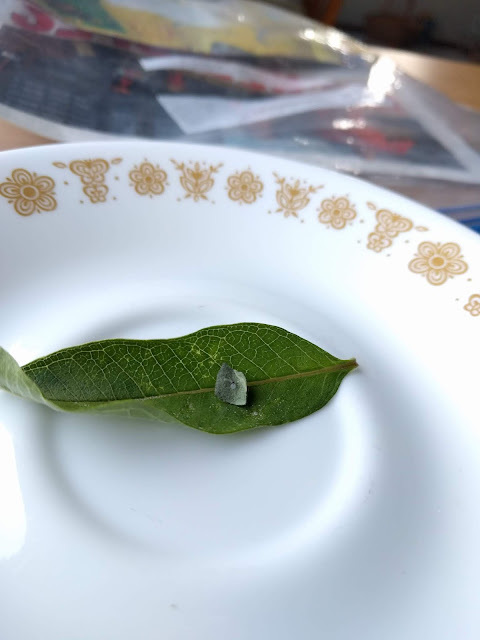 It's white with a black head, and it first eats the egg before it moves on to eating the leaf that it's on. 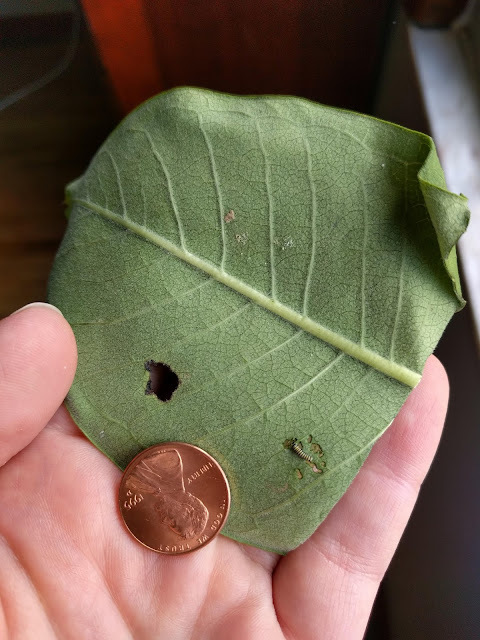 In this photo, you can see I had cut a square around the egg, so that the old leaf didn't curl up too much around it, and I placed the newly-hatched larva on a fresh piece of milkweed. I kept the larvae inside Cool Whip or sour cream plastic containers with a couple of tiny holes for ventilation. It was amazing how quickly the tiny caterpillars grew! Here one is next to a penny. You can see that it already has its signature yellow, black, and white stripes. The Monarch caterpillar goes through five instars, or stages, and it sheds its skin each time it grows to the next instar. It stops moving and eating for about a day as it changes. 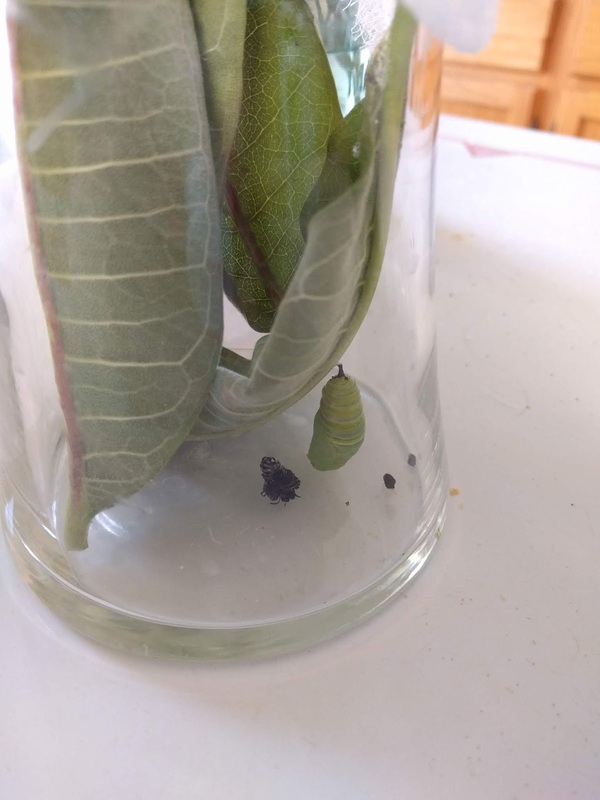 After about two weeks, it becomes a full-size caterpillar. If you only have one caterpillar, I recommend keeping it in a glass jar with a piece of breathable cheesecloth on top, secured with a rubberband. I like to place a wooden stick across the top to give the caterpillar something to attach to when it's time to form its chrysalis. The majority of the time, the caterpillar will attach to the stick because it likes to be at the highest place in their container. However, some of mine attached to the side of the jar, or to a leaf instead. This one above had just shed its skin, which you can see is the black piece lying next to it. With chrysalises that formed in funny places, we would move them to wooden sticks because we couldn't let them hatch in those precarious positions inside the jar. We very carefully loosened their white silk, using a needle and a pair of tweezers. Then, we tied a piece of dental floss around the black cremaster at the top. 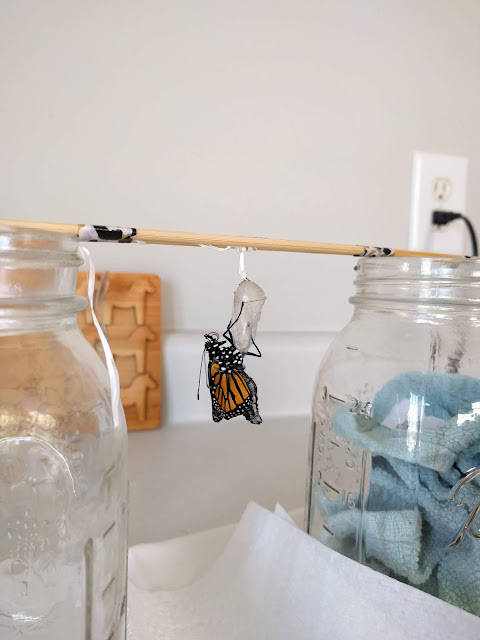 After that, we could tie the dental floss onto the stick and hang the chrysalis from anywhere. When I had several caterpillars at one time, I bought this cheap ($5) tank at Walmart which gave them a lot more space to crawl around and eat. When they are bigger caterpillars, they eat at least one big leaf a day, and they poop a lot. Once a day, I'd have to clean out the tank and put new milkweed in it. 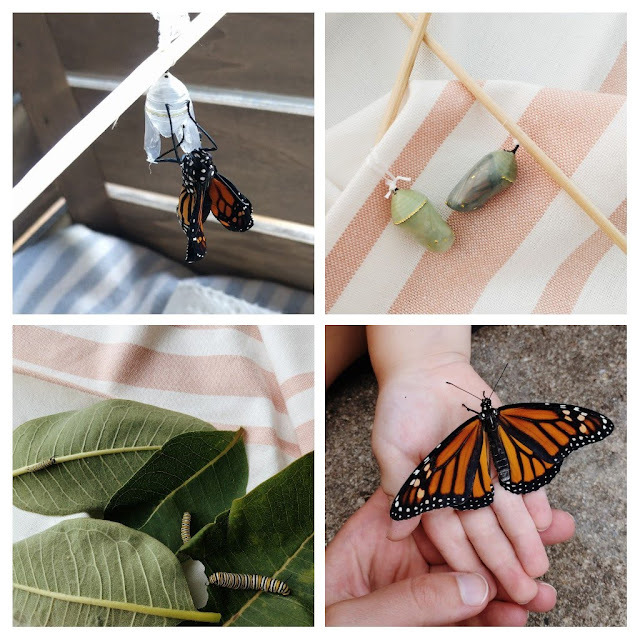 When a Monarch is ready to become a chrysalis, it stops eating, and it wanders to find its ideal spot. It secures itself with white silk, and then hangs upside-down in a J shape for 12-24 hours. 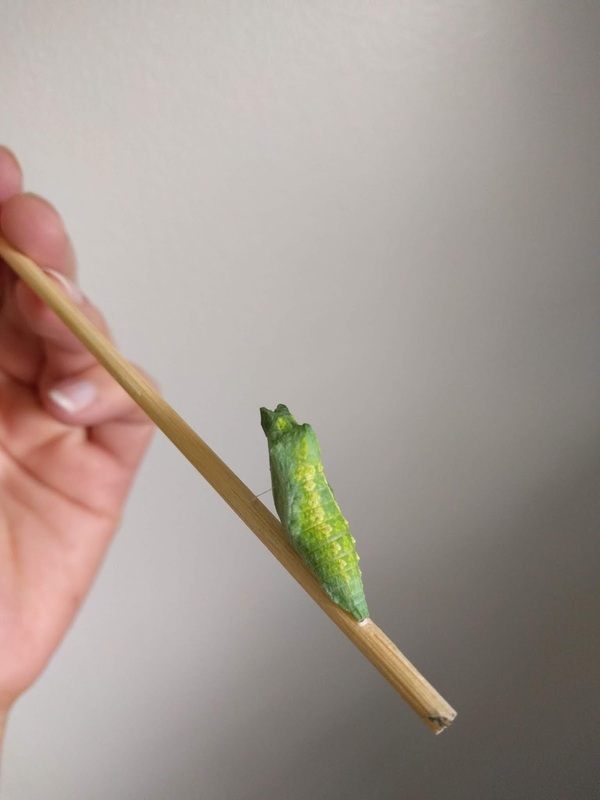 It shakes quite a bit and its antennae become limp, and then it sheds its skin and turns into the beautiful gold-dotted green chrysalis. 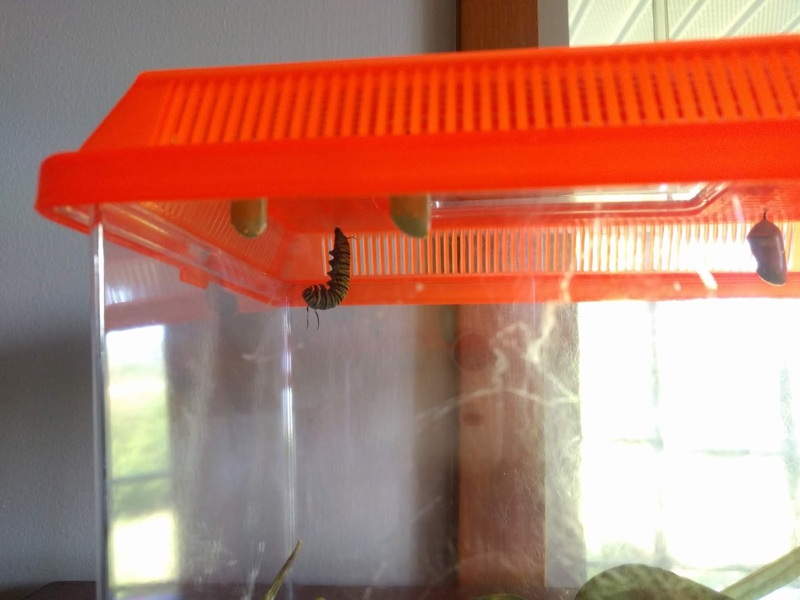 Our Monarchs all emerged from their chrysalises after 9-10 days. The night before a butterfly emerges, the green chrysalis begins to turn dark. 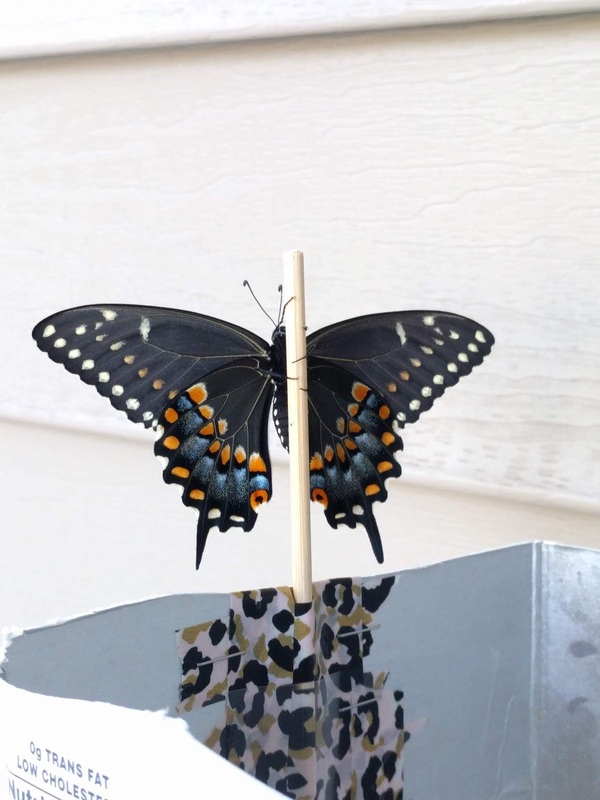 The butterfly will start to become visible from the outside - you can see the black and orange colors, the stripes, and the white dots. The morning it emerges, it's unmistakably ready. Our butterflies always came out between 8 and 10 am. 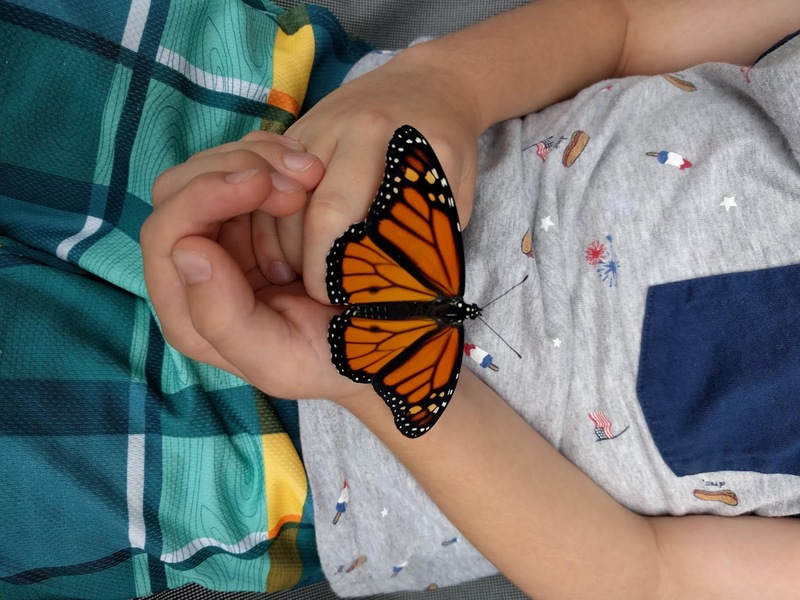 I made sure that the butterflies had plenty of space to emerge - enough space that they could be able to open their wings without touching anything. 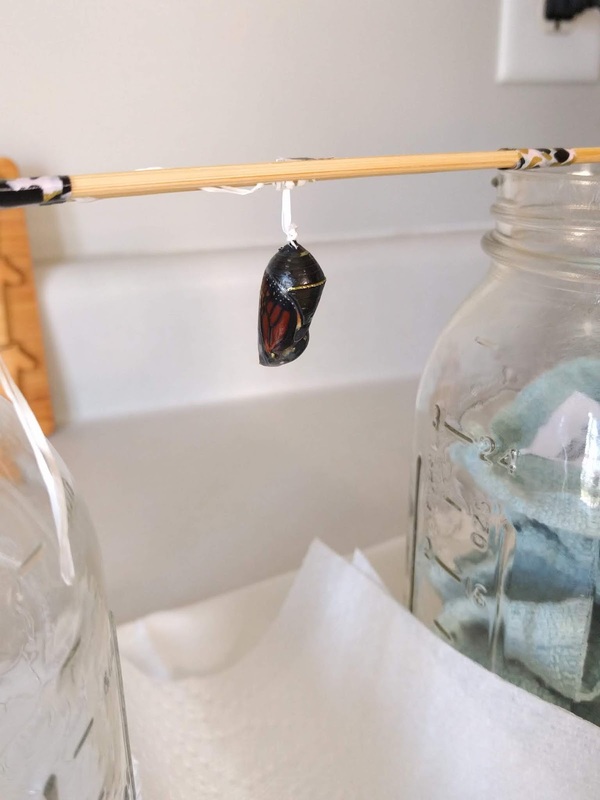 It only takes about thirty seconds for the butterfly to come out of the chrysalis, and then they hang from their empty chrysalises for two to three hours to dry their wings. When they come out, their wings are tiny and compact, but within minutes, they are stretched out. 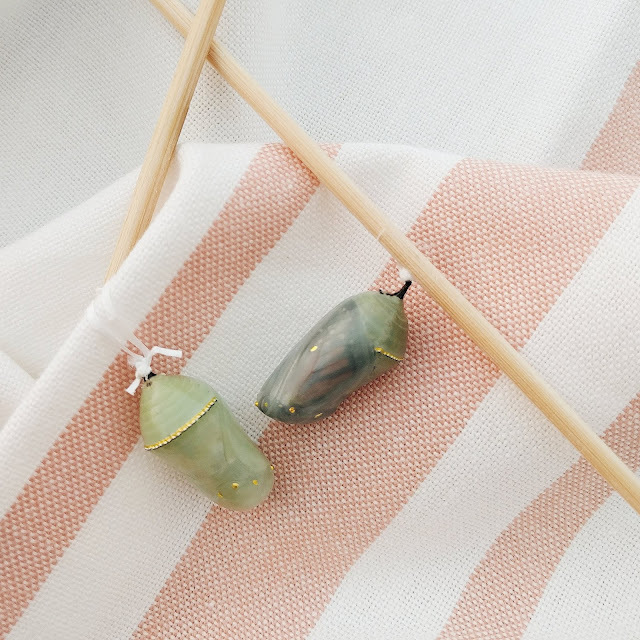 After the two hour mark, they begin to open and close their wings, and they will crawl off of the chrysalis. It's at this time that you can hold out your finger in front of their legs, and they will crawl onto your hands. 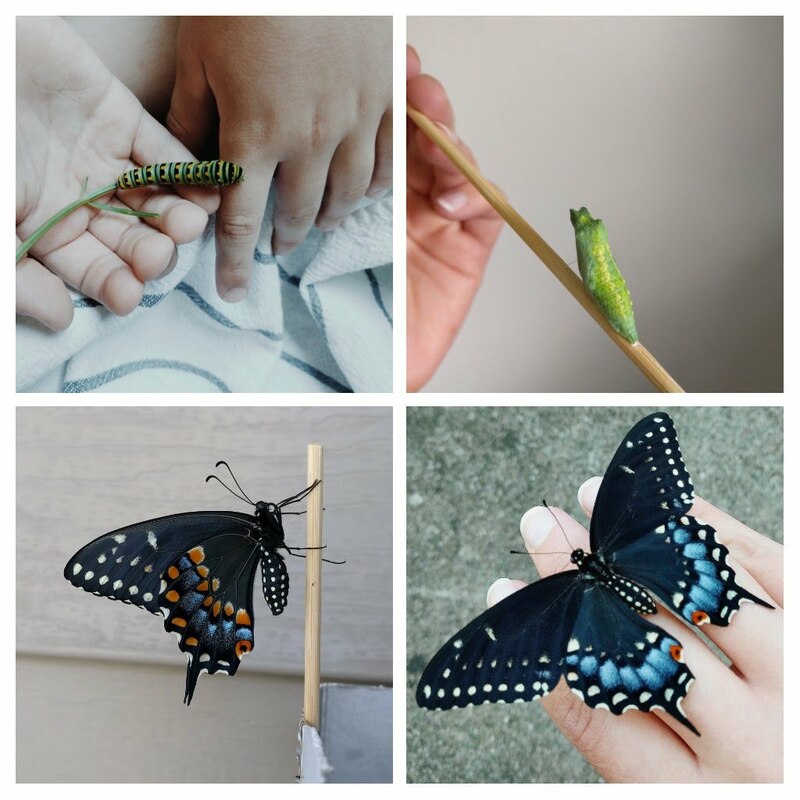 Here are my favorite photos of our butterflies. Some stayed with us for just a few minutes before they flew away, and some stayed for over a half an hour. It was magical! 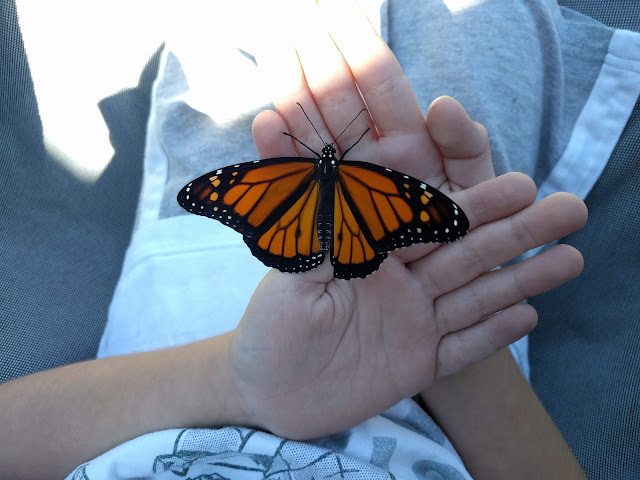 This Monarch is undeniably male because of those two black dots near the bottom of his wings. One butterfly (Bo) emerged on a very rainy day. We held him for an hour or so, and he didn't fly away because he wisely sensed the rain. I put him on my tomato plant, which was covered by the roof line of our house. It turned out to the rainiest weekend EVER. 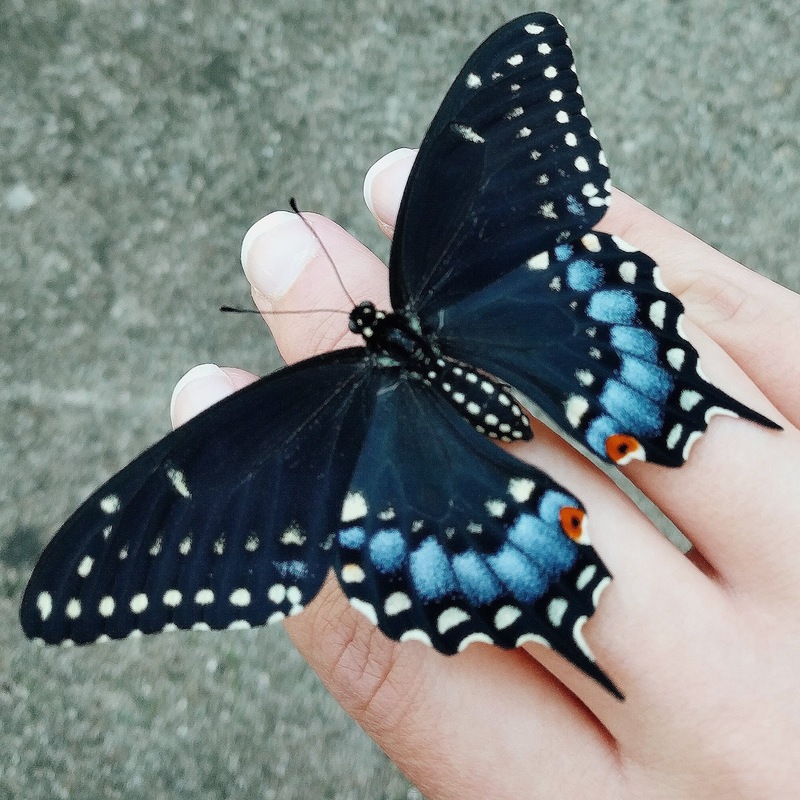 I felt so badly for this butterfly, that I checked on him all the time, and I even tried to bring him flowers to see if it would eat. He never moved, except to open his wings every so often. I worried that he would die or never learn to fly. But on Monday - over three days after he hatched, the sun came out, and he flew away! It was really a happy ending! And as for Wally the Swallowtail. . .
After a few days, he secured himself to the stick that I left standing inside his jar. He made a little saddle out of silk and leaned back, and 24 hours later, he had shed his skin and was all green. Unlike Monarchs, who overwinter as fully-grown butterflies in Mexico, Eastern Black Swallowtails overwinter as chrysalises. This meant that if Wally didn't emerge in about two weeks, he might have stayed with us inside his chrysalis until April or May. 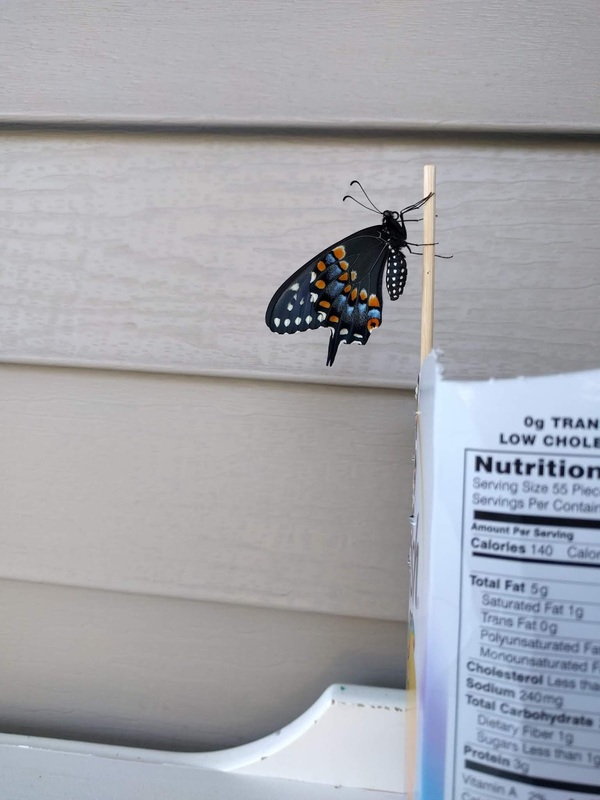 I was very glad when one day, his chrysalis began to darken, and he graced us with his gorgeous presence the next morning. Wally was actually a GIRL, and the most beautiful butterfly I'd ever seen! 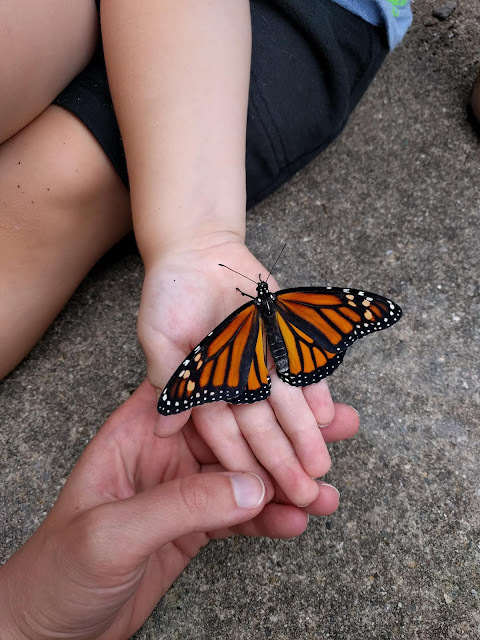 She was with us for a couple of hours as her wings dried, then I held her in my hands for a few minutes before she flew away. It was an amazing experience! 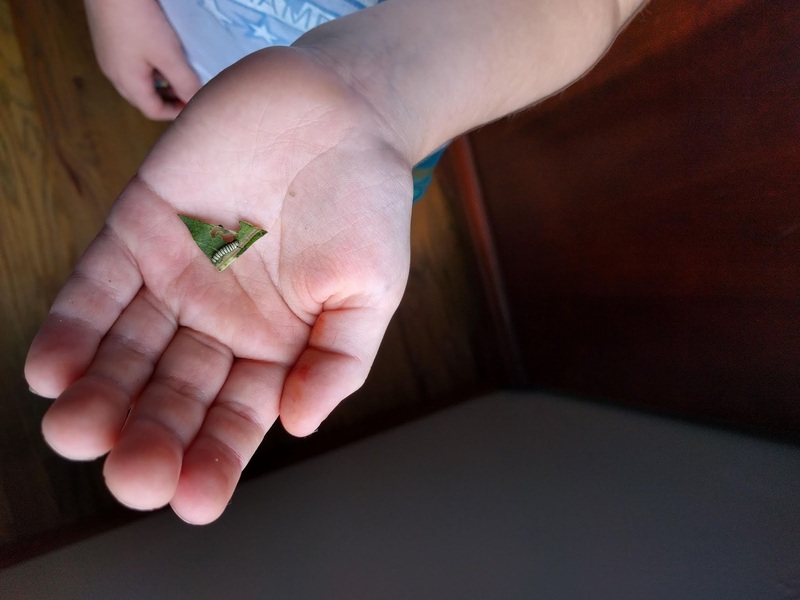 I've been collecting milkweed seeds this week, and my fingers are crossed that I will have milkweed growing in my backyard next spring so that we can start this butterfly experiment all over again next summer! These butterflies, these little miracles, are such a testament to God's goodness, his attention to detail, and his grand design for creation. It never gets old to watch them transform! 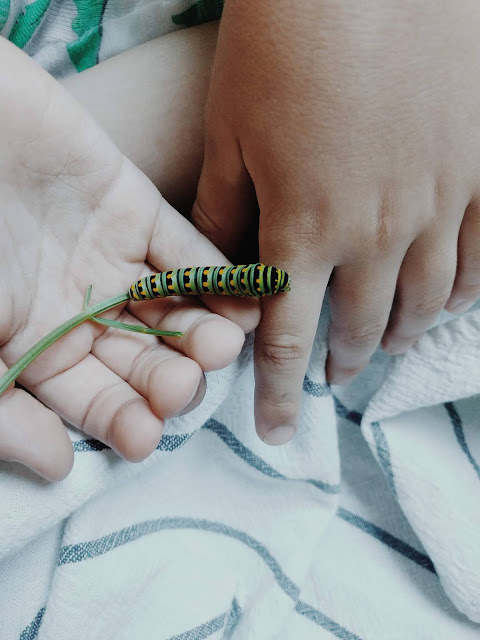 Hopefully, if you're looking to find caterpillars next year, you can use this as a how-to reference! And feel free to ask me any questions or advice! So neat! Loved this post and pictures! So beautiful! Thank you for sharing your experience. Wow! What a post! My heart needed this "feeding" of love, nurturing and compassion. Loved the pictures and details of how you cared for God's beautiful creatures. 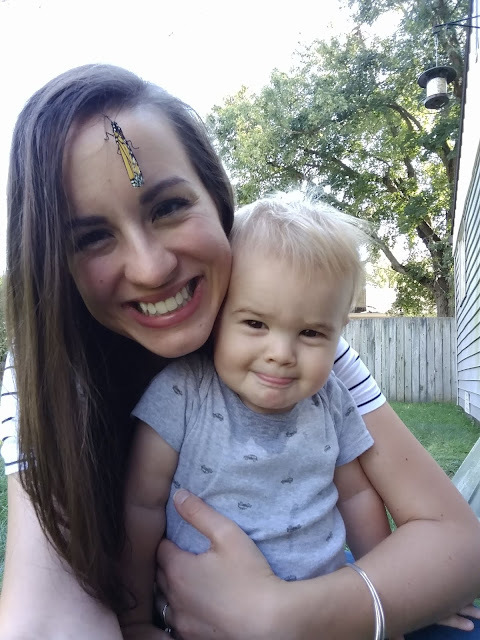 I was touched by your story of the Bo the monarch who was caught in the rain, and how you watched over him until the rain stopped and was able to fly away. I bet your kids loved learning all this, too! Bless you! Nice that the swallowtail came out this season. while there was still snow on the ground. It was right under the flag during the pledge of allegiance.